Still, smart speakers are more popular with this cohort than other forms of tech, like wearables. To put that in perspective, just 5.3% of the senior population will use a wearable this year. 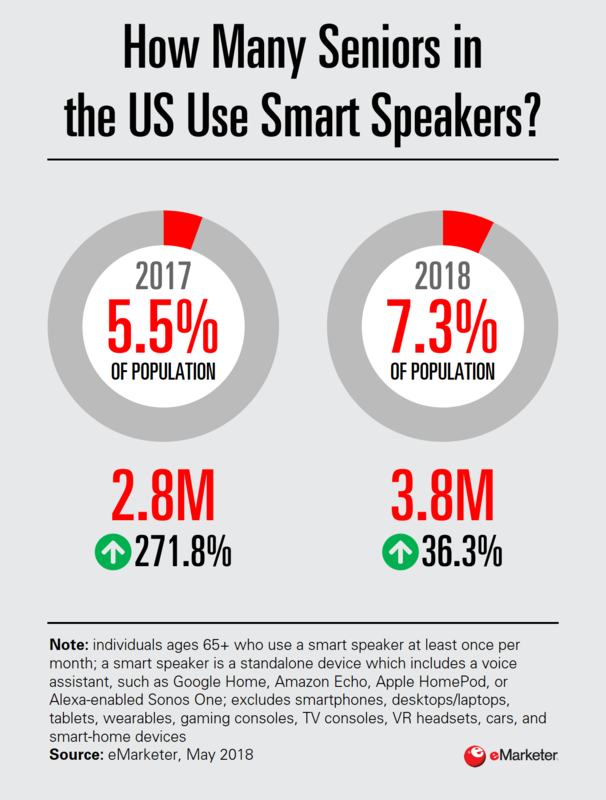 That’s compared with 7.3% of the population who will use a smart speaker. Seniors are more likely to have received the speaker as a gift from family, and the holiday promotions of these devices have undoubtedly caused faster adoption among the group. Smart speakers have real functionality for this demographic, who can use voice technology to make emergency calls. Speakers can also aid seniors with limited mobility in their daily tasks. Read the rest at eMarketer.